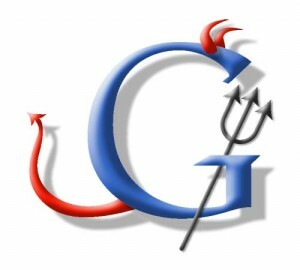 Google On Difference Between "Don't Be Evil" vs. "Do No Evil"
Google's Don't Be Evil motto has helped make Google the iconic company they are today and at the same time has caused a lot of negativity towards the company in the past few years. Reasonable people can disagree about how whether some things are evil. For example, some people believe that meat is murder, so eating a chicken burrito or wearing leather shoes is evil. Some people would argue that owning stock in (pick your favorite "evil" company) is itself evil; a few of those people would even consider it evil to own an index fund--which might hold shares of hundreds of companies--simply because the index fund might hold a few shares of the "evil" company. To live a life (either as a person or a corporation) so that no one, anywhere in the world, at any time can accuse you of evil is impossible. I think a Bloom County comic strip made this point, with Opus the penguin getting more and more timid until eventually he was dangling from a tree to avoid stepping on things and killing them by accident. Even then, in the final frame Opus realized that by breathing he was killing tiny organisms in the air. So I think "Do no evil" is an impossible standard: reasonable people can disagree on which choices are evil, and for different reasons. I prefer "Don't be evil" because it leaves room for honest disagreements, but still encourages Google to strive to make the world better. By the way, when I see "do no evil" instead of "don't be evil" in an post or article, I know the author is much more likely to criticize Google. Once you start noticing how authors frame Google's core value as "Don't be evil" vs. "Do no evil" you'll often know what to expect from the article. Keep an eye out and you'll notice it in the future too. Anyway, if you disagree or agree, there is some awesome discussion around this at Matt's post. Previous story: Delete Your YouTube Account? Want It Back? Act Fast!